That’s right. It’s here! 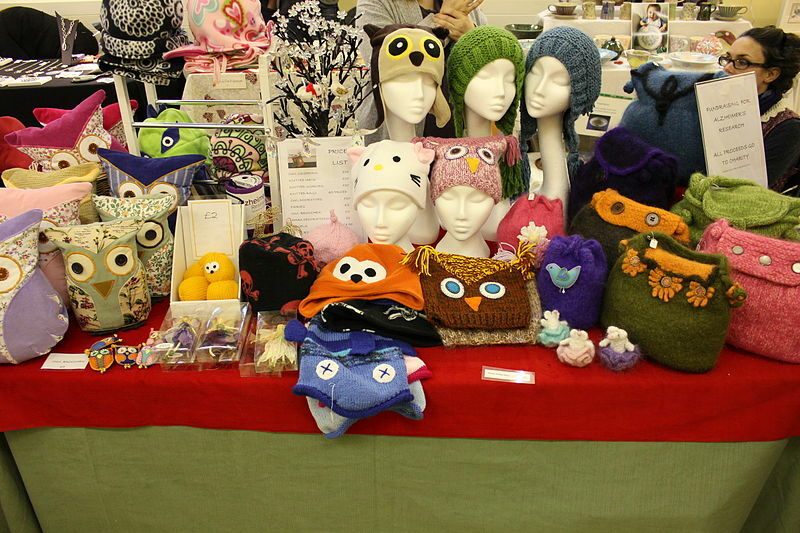 November officially kicks off Holiday Craft Fair Season. Haven’t heard of it? Well let me fill you in. It is basically a solid two-month span where any obsessed handmade shopper can hit one, and if really dedicated, sometimes two craft fairs within a 25-mile radius of where she lives each and every weekend of said two-month span. And just who is that obsessed handmade shopper that I speak of? This girl, right here. 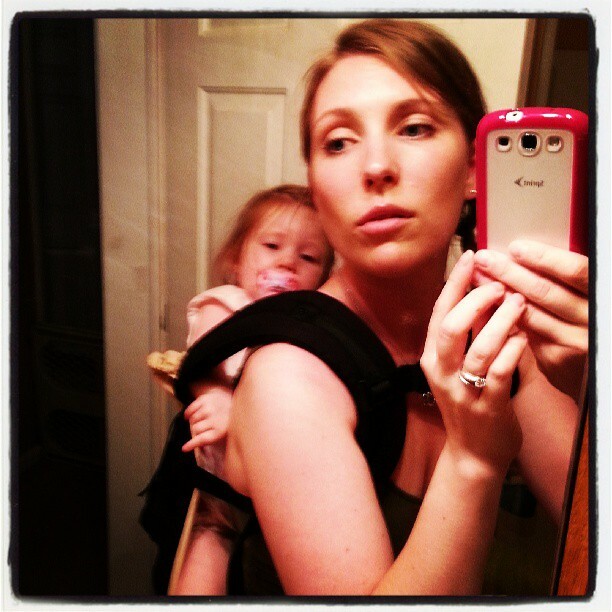 See…baby on back. Ready to go. Now, I can’t pinpoint the exact moment that I became obsessed with craft fairs, but it has been a growing situation for the past two years. It really went full throttle last year when I literally hit up every craft fair that I could find in Central MA (and even one in CT) dragging my two kids in tow. I sometimes even managed to get the Original Boo to come along for the ride. I’m not completely sure why I feel this incredible penchant to go to every single one. It’s like I’m searching for some hand-made, hand-painted, crocheted, home-spun holy grail. Also, I can’t seem to ever have enough headbands, hair clips, or adorable winter hats for my children and craft fairs have all of those things in spades. I must have them all. I realized one day while walking around a late-season craft fair, with Little Boo in the Ergobaby and Princess Rapunzel reluctantly holding my hand, that I might have an abnormally high craft fair attendance record when more than one vendor recognized me and made mention of it. “Oh, didn’t I just see you last week in Sturbridge? …and the weekend before that? …plus maybe once more last month?” And these were people that I hadn’t even purchased from. What is so recognizable about a crazy person who checks out every booth at every craft fair wearing a baby and corralling a toddler? Are there no others like me? So this year, I do vow to cut back. I have already been to two so far and have plans for at least three more. Who knows, maybe I will finally find that elusive handmade item that I can’t live without, have been looking all over for, and didn’t even know that I needed. Or I will get more hats. Either way, I am excited because nothing says Christmastime to me like trying to make sure that I see every single craft that there is while also making sure that my little ones don’t smash them to bits, rip them to shreds, throw them on the floor, or try to steal them while I am not looking. Happy Holiday Craft Fair Season! Must have all the hats.